It's always been important to me to understand how we move through the world. I enjoy helping other people with this as well — that's why I make my living doing research for people, whether it's through our private consulting or through the public library where I work. Be sure to check out our consulting and presentations pages while you're online! Bicycles have been my favorite way to engage with the world from early childhood. Bicycles encourage mobility and exploration, and also give the rider true freedom as well — at our own speed, under our own power. As a kid discovering this for the first time, I was also becoming interested in the new computers that were everywhere in the mid 1980s. They seemed full of possibilities, and seemed to promise a similar freedom to explore and learn. When I started college in the 1990s, my focus was almost entirely on digital technology. I majored in computer science at the UW, thinking it was the way of the future. This was the very beginning of the world wide web; the teachers and administrators at my high school hadn't known what a web site was until I built one for my senior project. When I told people about my plan to apply for the UW's computer science program, they said it was impossible because the program was so competitive. But, I tried anyways, and I got in on my first attempt. As a student, I worked as lead undergraduate programmer with UWired, an early program intended to integrate computers and web-based programs into classroom instruction. I hadn’t forgotten my relationship with bikes, either – I still rode to my classes as well as for fun. However, as I went further and further with my studies and work in computer science, I became less and less happy. In my job I had originally been able to take an educational and support role, working with faculty members to teach them about their options using internet technology in their classes. But I saw the job changing into a production environment where we built websites and tools for the professors rather than teaching them how to do it themselves. I saw people becoming cogs in a machine, and that profoundly disturbed me. Whereas my early classes had covered a wide range of computer theory and systems, the programming and hardware classes had become entirely focused on coding and the internal states of the machines. Even the wide-open early internet landscape itself had become cluttered with pop-up ads and rank commercialization. Things were getting increasingly abstract and divorced from the real world. Worst of all was the changing social environment which resulted from these trends. I had been completely focused on doing my work and didn’t even realize how unhappy I was until late one night when I was working on completing my assignment in a computer lab. The department was paranoid about the possibility of cheating, so much so that they actively discouraged collaboration of any sort. (In computer science, and especially in coding, it is easy to simply copy someone else’s code to complete an assignment.) Students weren’t allowed to talk together about the assignments, let alone work together. This only increased the isolation that seemed to come naturally to people who spent their days gazing at screens. Late one night in the lab, several other students and I got hungry. To coordinate ordering a pizza together, we surreptitiously emailed each other, even though we were in the same room. One of us made the call, and then we all paid our share to the delivery guy without speaking and returned to our terminals with our slices. As I ate the pizza and typed in my code, I thought about the many artificial barriers I was helping to create and the deep alienation it was instilling in all of us. The next day, riding my bike to college, I had a completely different feeling – I realized that my bike made me feel free, like I was both a part of the world and able to go anywhere I chose. I rode right past the UW and kept on going. A few days later, I realized that I hadn’t been back to class, and I visited the registration office to withdraw. I was still fascinated by technology – especially the power it has to shape our lives for good or for ill. I decided to consciously choose technology that connects people to the world, rather than cutting them off from it. I choose technology that is open and accessible – that encourages disassembly and active study. Machines and systems that connect to and focus our attention on the world around us rather than pulling us into navel-gazing systems that lack real connections to anything outside themselves. The single technology that was the best model for my vision had been with me all along: the bicycle! Here was a human-scale system that was directly empowering, that forced an engagement with the world, and had the potential to connect people with each other. While digital technology is a black box, almost completely opaque to users and not rewarding to disassemble, the bicycle is an open book offering in-depth education on physics, metallurgy, chemistry, engineering, and many other specialties to anyone who cares to explore. Beyond that, when you are done learning you can get on and ride it wherever you want to go. This was an example of the true promise of technology and what it should offer: an extension of our abilities combined with a deepening of our knowledge, all accomplished without cutting us off from each other or from the world around us. It is not a coincidence that it was during this period of self-discovery and self-definition that I met my wife, Sarah. We share many of our goals and priorities, and we each bring our own strengths and abilities to what has become a true partnership. Over the succeeding years, I continued to develop my thinking and formed a plan to continue my education. I hoped to find a role for myself in which I could apply my thinking in ways that would reach other people. I returned to college armed with my new conceptions of appropriate technology and technological choice in opposition to the rapidly-growing, dominant culture of alienating cell phones, social media, and scalable digital systems. I studied history for context, completing my BA in one year, and then entered the Information School for a masters degree in library science, creating my own emphasis for archival studies. My academic advisor was a professor who'd had a similar arc, moving from a PhD in computer science to post-graduate studies in medieval manuscript illumination. I worked for the University again, both for the libraries and the library science department. My professors loved the way I dove into the archives; I won awards for my research and had an article published in a state-wide journal. My studies and interests drew me towards a more comprehensive lifestyle, in which my principles, skills, and goals all came together as an integrated whole. My love for the bicycle and the period in which it was invented eventually led to our dedicated focus on the last two decades of the 19th century: the 1880s and 1890s. The technology of the time offered a wide range of functional choices which we steadily incorporated into our lives, and all of them worked in a similar way to the bicycle – connecting us to world around us and providing an ongoing education in a wide range of subjects. My wife and I began doing presentations to share what we had learned and promote healthier, conscious choices in personal technology. The Fish-In Protests at Frank's Landing. "If anyone lays a hand on that net they are going to get shot." A narrative history of the Native American fishing rights protests which occurred during the 1960s and 1970s at and around Frank's Landing, Washington. These highly visible and frequently dramatic protests were instrumental in securing special treaty rights for Native Americans, and were also highly influential in altering public opinion of the Pacific Northwest tribes during this turbulent period. However, there were other groups involved in winning these important rights for the Pacific Northwest Native American tribes, including the NAACP and other civil rights organizations. This paper explores these associations and their impact on the outcome. This paper examines the nature of the interactions between the Native American community living on the Port Madison Indian Reservation and the settler community directly across the bay, known as Port Madison, Bainbridge Island. I particularly focus on the period of the 1870s and 1880s, and I argue that the two groups were less driven by idealized and preconceived images of each other during this period when compared to the decades preceding and following it. 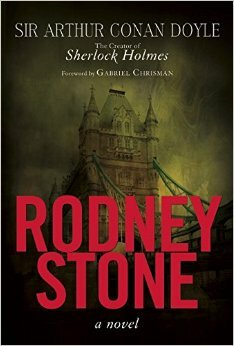 From the creator of Sherlock Holmes, a coming-of-age combination of detective fiction and thrilling adventure. First published in 1896, Rodney Stone is a gothic coming-of-age story that takes place in Sussex County and follows a young boy with an interest in mischief, exploration, and boxing. Rodney Stone and his best friend, Jim Harrison—the relative of a blacksmith and former boxer—have always been drawn to dark and dangerous places. When they wander into Cliffe Royale, an old, deserted mansion that was the scene of a gruesome murder fifteen years earlier, they’re both frightened and strangely excited to cross paths with a ghostly figure. Before they can identify who the ghost is and what it wants, Rodney’s wealthy uncle, Sir Charles Tregellis, arrives in Brighton and leaves later with Rodney in tow. Rodney soon learns that Tregellis, a typical dandy, is connected to just about everyone in London and has focused his attention on an upcoming boxing match to be witnessed by thirty thousand spectators. If Tregellis’s unnamed challenger wins the fight, it could mean grave trouble for Tregellis and everyone he’s associated with—including Rodney. Distracted by the upcoming fight, Rodney almost forgets about the chilling discovery he made at Cliffe Royale with Jim—until the past comes back to haunt them all.